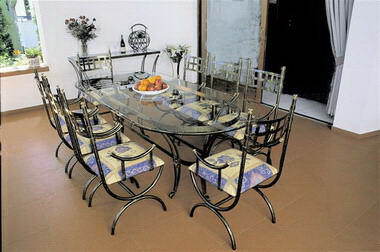 Korkyra Furniture - Specialising in indoor and outdoor wrought iron furniture and accessories, Korkyra Furniture has been in business since 1992, and offers excellent workmanship with an emphasis on quality - creating a designer mix of classic and modern styles. 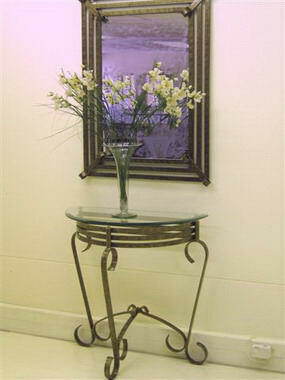 Our products are finished in a variety of colour techniqued paint. 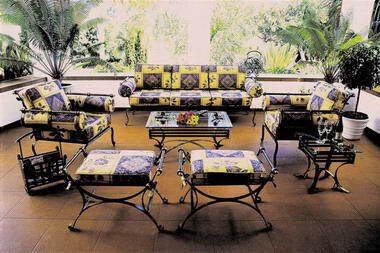 You can select fabrics from our large range of catalogues from renowned fabric houses. 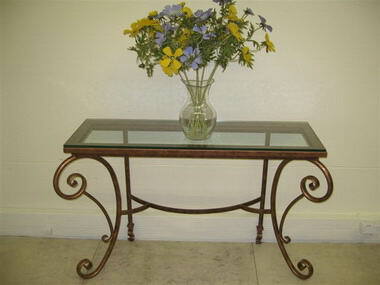 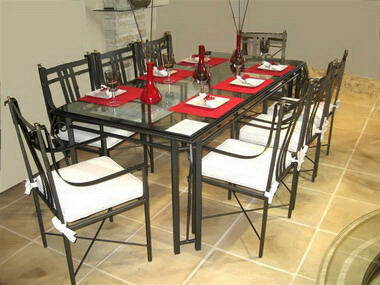 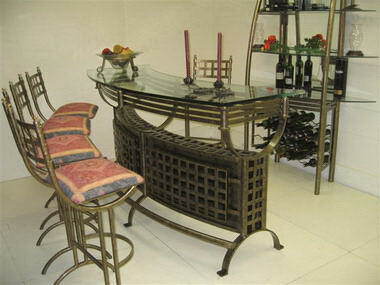 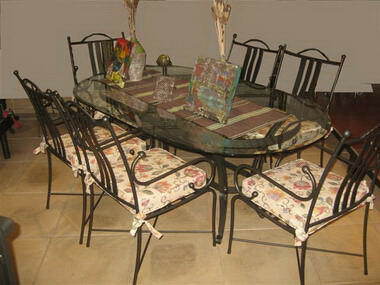 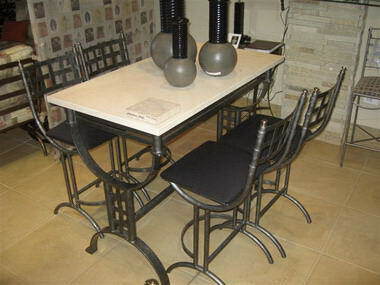 Tables are available in different shapes, and tops range from glass, wood, granite and natural stone. 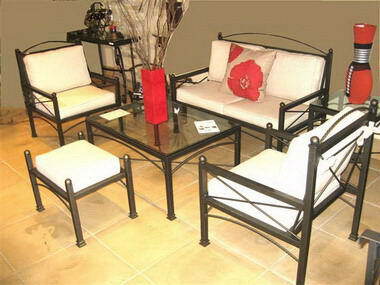 Besides our large range of standard products, we at Korkyra Furniture offer you custom made designs to suit your needs. 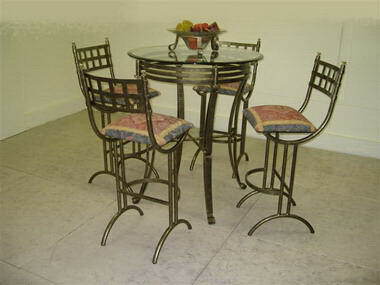 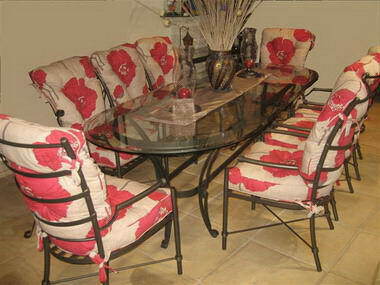 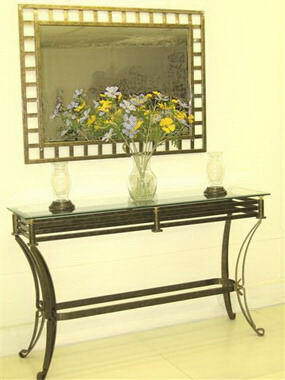 Our furniture is not only elegant and stylish but offers exceptional comfort and durability.